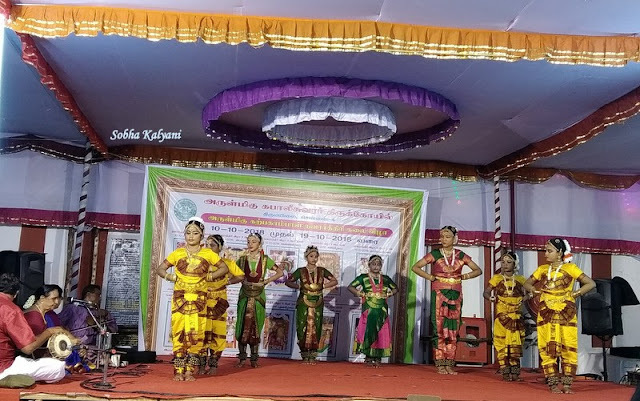 In October 2018 during Dussehra Navaratri we went on a family trip to Tamil Nadu. It was a morning flight which took off from Hyderabad airport at around 7.30 a.m. We reached Chennai at around 10 a.m and it was almost 11 a.m by the time we reached Quality Inn Airport where we had our pre-booked room. 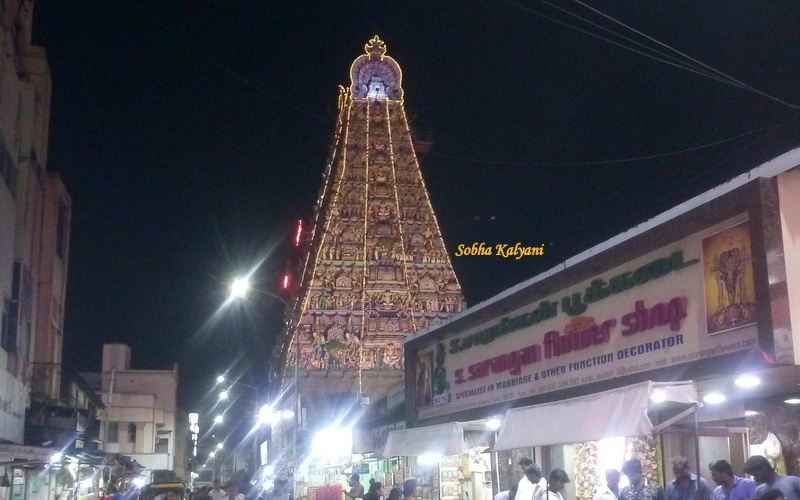 In the evening of Day 1 of our trip first we went to Kapaleeshwarar temple in Mylapore. 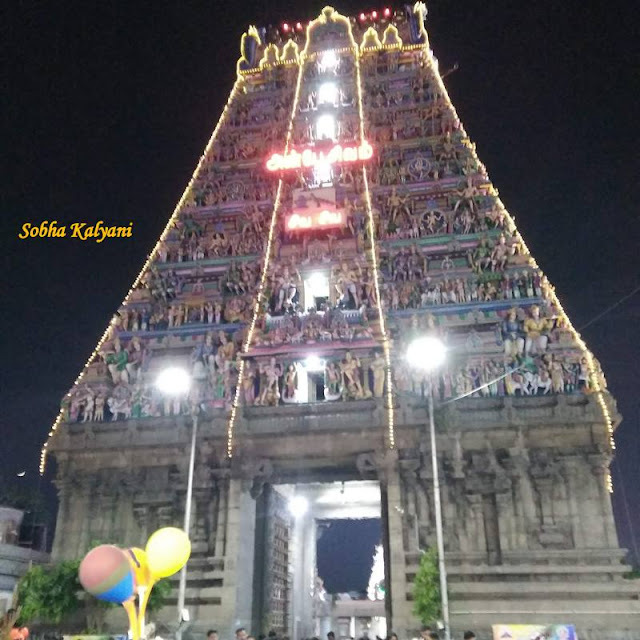 As it was Dussehra festival time, the temple was decorated with lighting and was heavily crowded with devotees. The street leading to the temple was jam packed with traffic and with roadside vendors on either side of the street. The giant Gopuram (entrance tower) of the temple is in typical Dravidian style architecture. It is very spacious inside the temple premises and during our visit at the time of Dussehra Navaratri, the entire temple was illuminated in lighting which gave a festive look. 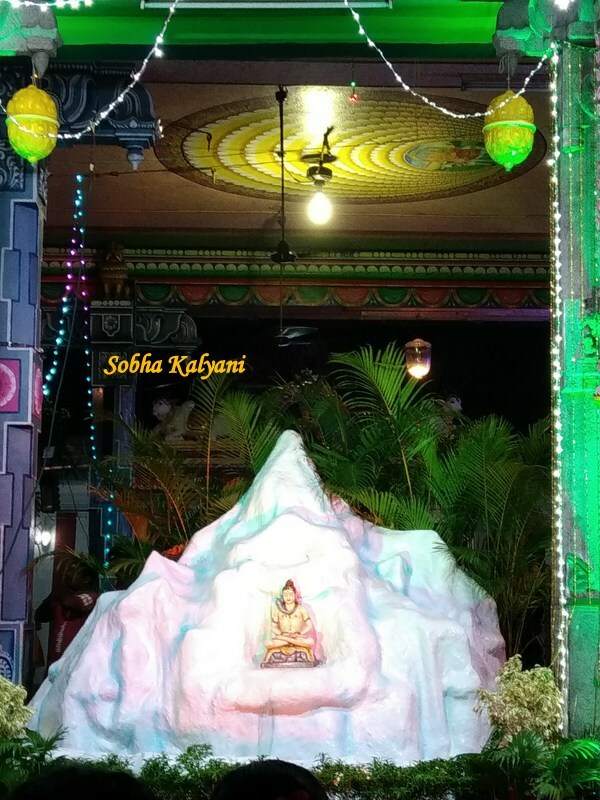 Inside the temple premises there was a nice display of Mt Kailash with Lord Shiva sitting in it. The display attracted huge crowd who were taking clicks. According to legends at this place Goddess Parvati prayed Lord Shiva in the form of a peacock (known as 'Mayil' in Tamil language). Hence the area got the name 'Mayilapuram' or Mylapore. The temple opens for devotees at 6.00 in the morning and closes at 12 noon. It again opens at 5 in the evening and closes by 8 p.m. Most of the temples in Tamil Nadu close in the afternoon time and again opens for devotees at 4 or 5 in the evenings. The best time to visit temples in Tamil Nadu early in the morning as there will be freshness in the air. 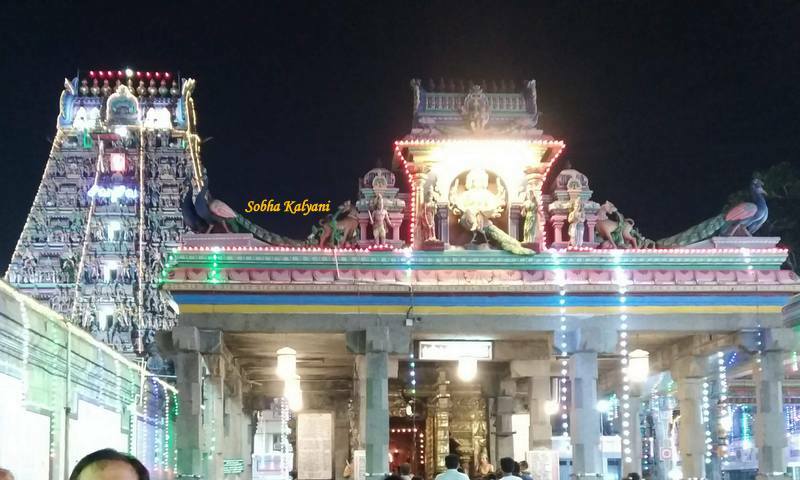 Arulmigu Kapaleeshwarar temple is a 7th century CE (Current Era) temple dedicated to Lord Shiva and is one of the oldest temples in Chennai. It is believed to be built by the Pallava Kings in the 7th century CE though there is no recorded history of the same. Goddess Parvati (wife of Lord Shiva) is worshiped in the name of Karpagambal. Mylapore is one of the busiest areas in Chennai and is easily reachable from other areas of the city. During our visit to the temple, there were long lines for Darshan. We spent some time in the temple premises watching the Bharatanatyam dance performed by children. After spending some time in the temple we proceeded to Parthasarathy Temple in Triplicane which is not very far from Mylapore.